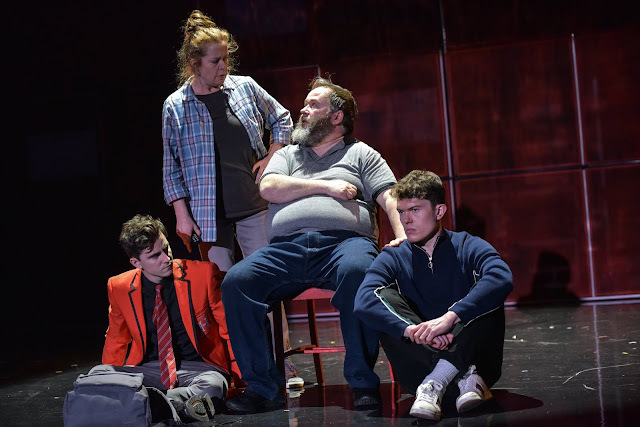 REVIEW | Noughts and Crosses. 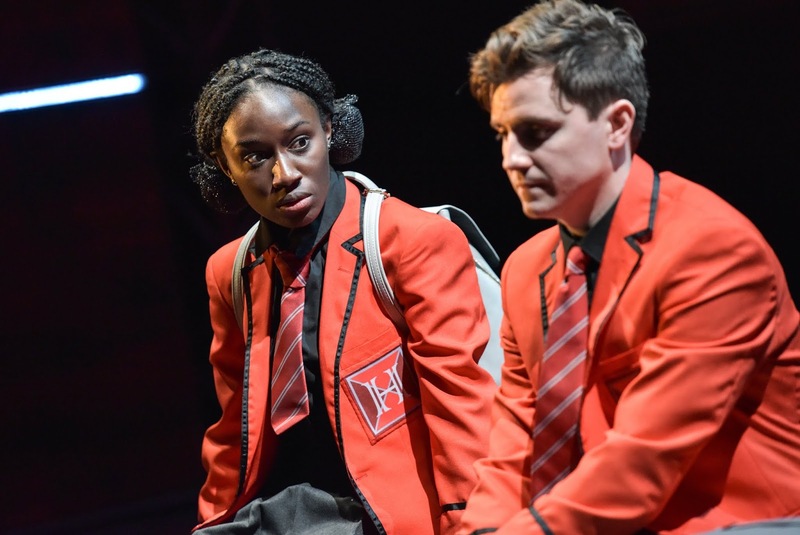 This year Malorie Blackman's best-selling dystopian novel has been adapted for the stage in a play from Sabrina Mahfouz. The novel tells us about a world where the power rests in the hands of the black population. The plot takes on the task of addressing challenging themes of segregation, insurrection and political violence that has huge relevance to today. The production is breathtaking and really quite something to watch. The story centres around two young people from very different backgrounds. Sephy, a Cross who is part of the leading class and Callum who is a Nought; white and deprived of opportunity in high places. Their issues spare little thought as they grow up together but all of that changes when they grow and wise up to the things that make them different. Their parents make it easy for them to strive to do better with their lives. Sephy's mum is a drunk and Callum's brother wants to be part of the revolution to bring the Cross' down. With so much political drive within the story, Sephy and Callum's relationship is crucial. Heather Agyepong and Billy Harris execute harrowing performances with pure genius. Agyepong was a breath of fresh air with her excellent stage presence and she embodied all of the emotions with a complete heart. Billy Harris is lovely as young teenager Callum is. His communication with his older sister Lynette is beautiful and very touching, particularly communicating in a way that was so essential for their relationship. I also loved their touch on mental health in this piece and felt as though these characters delivered it exceptionally. In a world that seems so much aware of mental health, they were great in showing a glimpse in how it feels. The 8 strong cast members create a whole host of different characters in the story, except for Heather and Billy who stick to inhabiting one role for the entirety of the production. I thought they were excellent in stepping in the shoes of a different character within minutes of a scene change, it worked effectively. Simon Kelly does a fantastic job at presenting the Derby Theatre stage in an innovative and vast space that is very much alive. 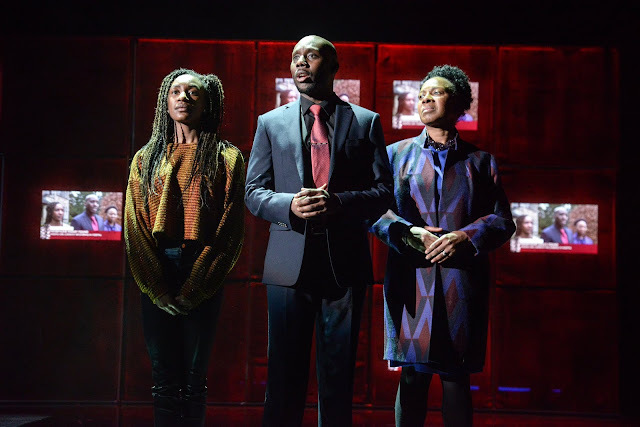 With the help of Joshua Drualus Pharo's incredible lighting design, you witness are transported to this tough dystopian world where your race is essential in how you live your life. There's not a lot on the stage throughout the play but it feels so full of inhabitance. Their story aligns very closely to that of Romeo and Juliet, resulting in a fantastic adaptation for Pilot Theatre. There was a lot of young people in our audience and I loved that they were accessing theatre from books they've probably read. Noughts and Crosses is a really superb piece of theatre you don't want to miss! Now all I've got to do is get my hands on the book! 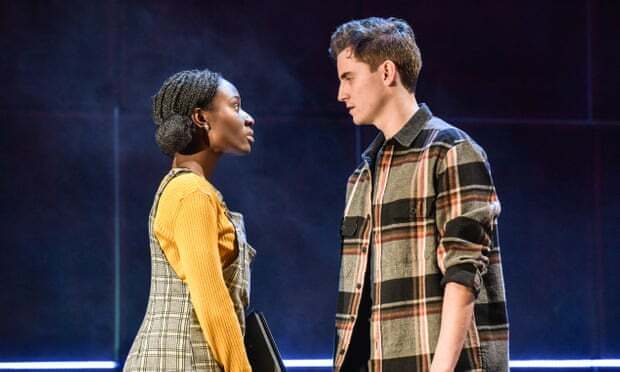 Noughts and Crosses runs at Derby Theatre until 16 Feb 2019 before embarking on an exciting UK Tour. You can find out more here.